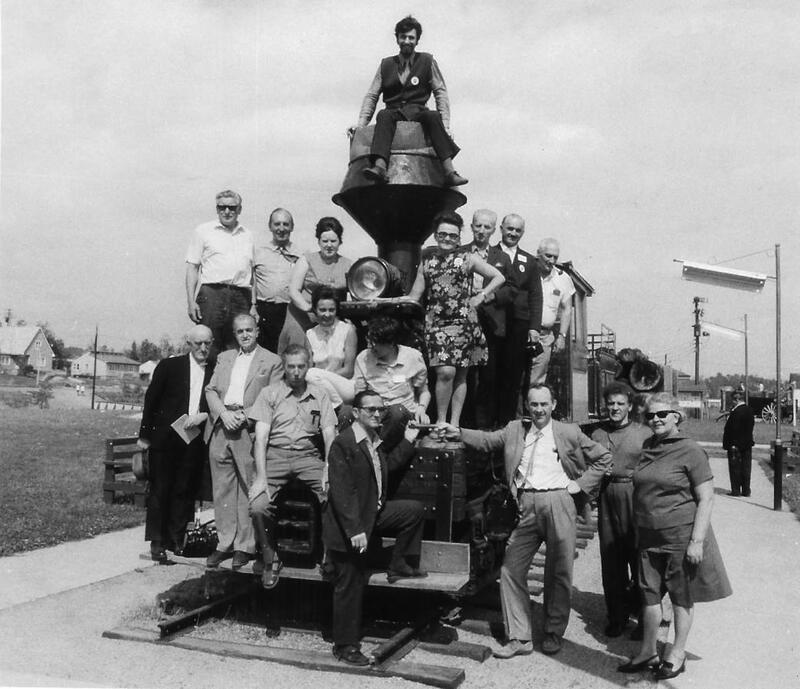 Group photo of ethnic press representatives posing around an old train engine during trip to Thunder Bay and Kenora, organized by the Government of Ontario to promote the province. Domingos Marques, representing O Jornal PortuguÃªs, sits at the top of the chimney. 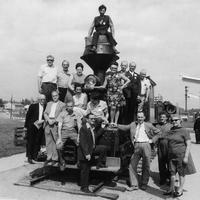 “Ethnic press reunion,” York University Libraries | Clara Thomas Archives & Special Collections online exhibits, accessed April 25, 2019, http://archives.library.yorku.ca/items/show/2402.